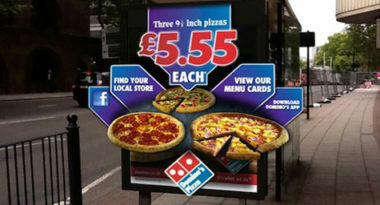 In Britain, Domino’s Pizza and Blippar have debuted a new mobile ordering app that lets hungry consumers with smartphones order a pizza directly from billboards and posters advertising the pizza franchise’s 555 deal. Adweek.com reported on how this app is satisfying appetites for mobile marketing innovation. To use the app, consumers simply point their smartphones at one of these outdoor ads. Then, the app creates an augmented reality experience that allows users to order a pizza, download deals, and visit the Domino’s Facebook page. 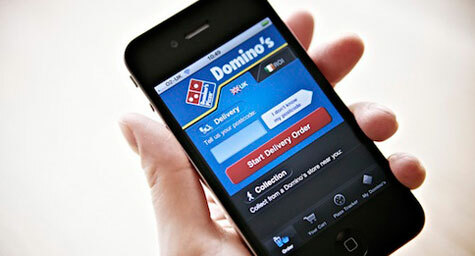 This state-of-the-art app enables Domino’s to instantly engage consumers and leverages the growing popularity of their online ordering feature. As you can see, Domino’s is taking mobile marketing into a whole new realm and it’s likely that others will follow for their own piece of the pie. To put the latest mobile marketing strategies to work your business, contact MDG Advertising. MDG Advertising, a full-service Florida advertising agency with offices in Boca Raton and New York, NY, specializes in developing targeted Internet marketing solutions, exceptional creative executions and solid branding and media buying strategies that give clients a competitive advantage. Our core capabilities include branding, logo design, digital marketing, media planning and buying, TV and radio advertising, customer relationship management, video marketing strategies, inbound marketing programs, public relations, Web design and development, email marketing, social media marketing, local search and SEO. View MDG Advertising’s creative marketing portfolio.